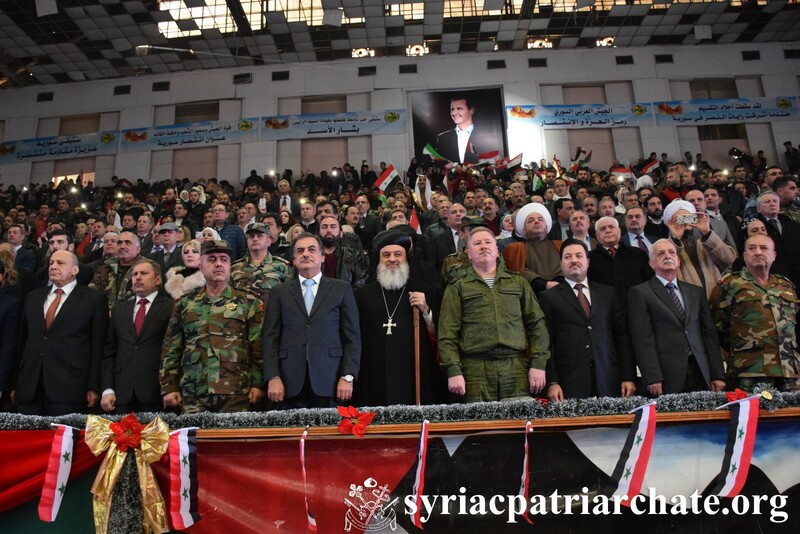 His Holiness was accompanied by His Eminence Mor Timotheos Matta Al-Khoury, Patriarchal Vicar in the Patriarchal Archdiocese of Damascus, Very Rev. Raban Boutros Kassis, Patriarchal Delegate of the Archdiocese of Aleppo and Environs, and Very Rev. Raban Joseph Bali, Patriarchal Secretary and Media Office Director. 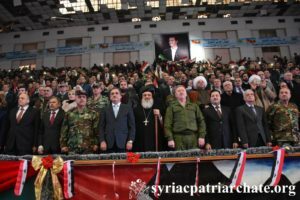 During the ceremony, several musical and sports programs were presented, in the presence of public figures and large crowds from Aleppo.